See scan - perfect condition. Comes with original case of issue. 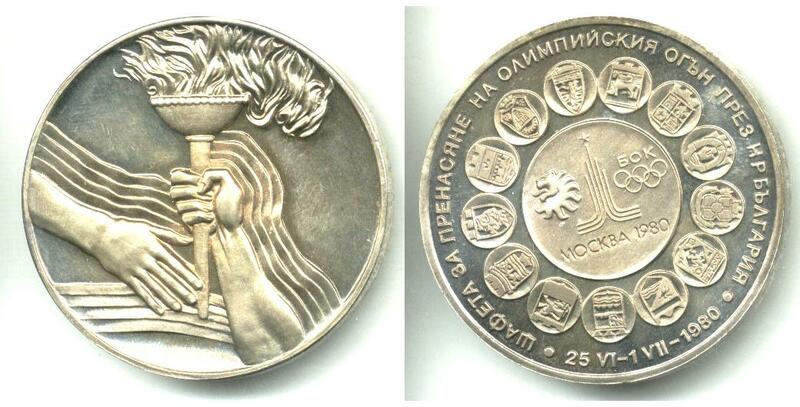 This is a nice and rare NOC Bulgarian Olympic Committee sterling silver medal awarded to participants and athletes in the Olympic torch relay run for the 1980 Summer Olympic Games held in the Capital of Russia - Moscow, at that time the Soviet USSR... Scarce sports collector piece and Olympic memorabilia and one of the nice related Olympic medals.